Showing strength in the right place. For implementing individual assemblies and our positioning systems, we rely on granite. Granite is an especially resistant natural hard stone. Its formation process of several thousand years leads to various properties that make it a valuable raw material for high-precision mechanical engineering. Due to its composition, the material is free of internal stresses, has good attenuation properties and is also very stable under changing temperatures. The surface quality is almost free of pores and wear. 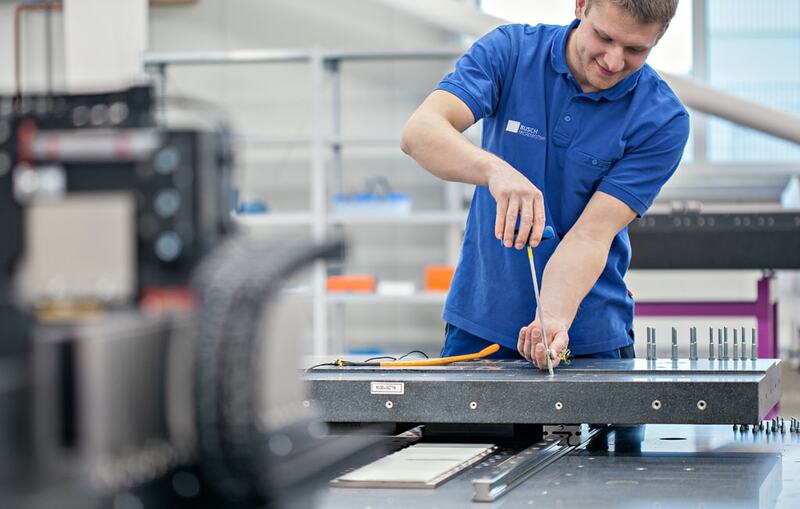 By lapping the surface, we achieve a flatness of 2 µm or better. The material is excellently suitable for the construction of axes using various guide systems and motors. With lapping, we produce perfectly flat surfaces. This requires skilled craftmanship, a great deal of experience and sensitivity. 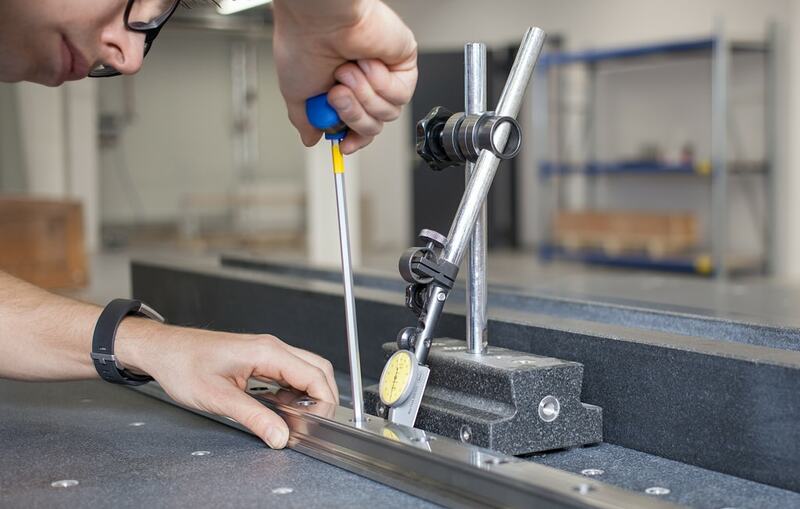 To ensure that positioning systems run precisely in practice, we carry out the exact parallel installation and adjustment of rails on the granite elements. 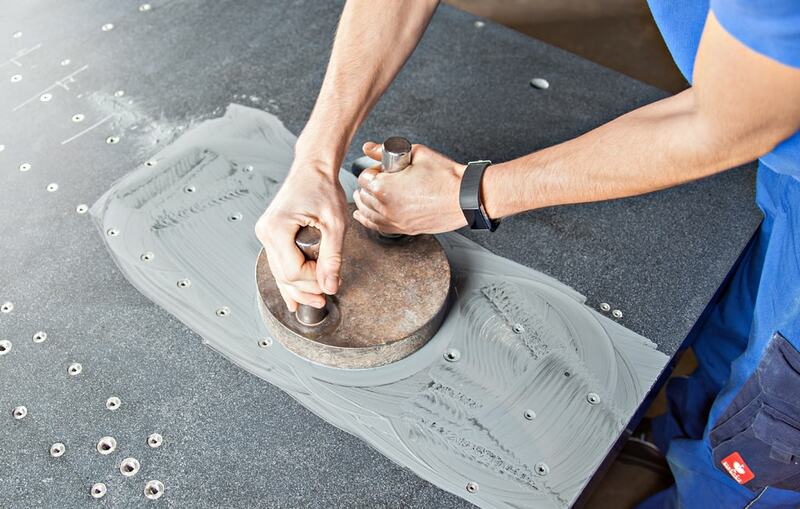 If required, we mount and adjust any parts or electrical components on the granite elements and deliver systems that are completely ready for installation.